Minutely hazy yellow color. Tropical, floral aromas and flavors of pineapple-mango salsa, peach pastry, orange blossoms, and chives with a round, tangy, finely carbonated, dry-yet-fruity medium body and a tingling, subtle, long finish with accents of spiced tangerines and radishes finish. A delicious, juicy and nicely astringent pale ale with great orangey hop flavor. 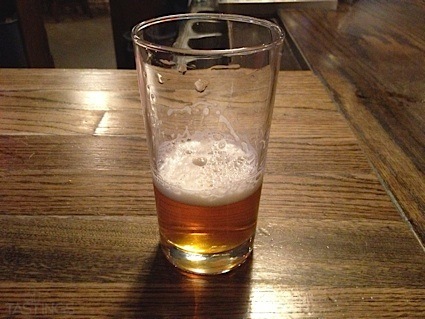 Bottom Line: A delicious, juicy and nicely astringent pale ale with great orangey hop flavor. 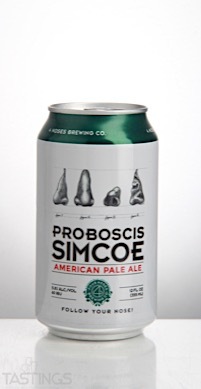 4 Noses Brewing Proboscis Simcoe Pale Ale rating was calculated by tastings.com to be 92 points out of 100 on 4/13/2017. Please note that MSRP may have changed since the date of our review.